The Lowcountry has its own happy dance, and it goes by the name of “shag.” Back in the ’40s and ’50s, during sweltering summers in Carolina beach towns, teenagers vacationing with their families would escape parental restrictions to meet at beach pavilions and promenades, where they played forbidden music on the jukebox and invented their own daring steps. Now, those same teens have kids, grandkids and even great-grandkids of their own—but they’re still dancing the shag. In fact, it has been named the Official State Dance of South Carolina. When Becky first came here from Michigan, she’d never heard of shag. One day, she was walking through the former Crowne Plaza on Hilton Head and saw a poster advertising the Shag Club’s meetings there. After looking in the door of a ballroom to see hundreds of people moving to this irresistible rhythm, she signed up for lessons. It was a bit of a struggle to learn, Elliott admits, but she hasn’t quit shagging since. This month, the Club will host its signature event, the 23rd Annual Island Winter Classic, a four-day shag fest drawing enthusiasts from all over the South. It will be held January 18-21 at the Westin Hilton Head Island Resort & Spa, where 350 dancers are expected to converge on the dance floor. 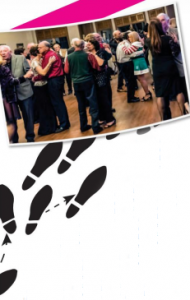 In its original heyday, Southern-style swing was danced all up and down the Atlantic seaboard from Virginia to Florida. However, it is most strongly associated with the Carolinas, and historians pinpoint Myrtle Beach as its epicenter. No one knows exactly how or when the term “shag” originated, but as a movement it dates back to the Segregation Era, when fun-loving, uninhibited white teenagers began “hopping the Jim Crow rope” to watch dancers in black nightclubs. Later, they adapted the moves into their own social circles and convinced white jukebox owners to start incorporating R&B into their playlists. Eventually, these youngsters went off to college and, as music trends evolved, the shag died out for awhile…but not forever. It was resurrected several decades later by people wanting to relive the old days, and in some Carolina families it was even considered a tradition, passed down through generations. Now, there are at least 100 shag clubs all over the Southeast, as far north as Baltimore and New Jersey, as far west as Pennsylvania and Ohio, and in major urban centers like Atlanta and Memphis. Competition teams take shag all over the world, and “junior shaggers” are keeping it alive for years to come. In an iconic 1989 film called “Shag: The Movie,” four young women from Spartanburg take off to the coast for a wild bachelorette weekend. Filmed in Myrtle Beach, it became a classic coming-age-movie for Southern belles and wannabes, and was recently listed by Garden & Gun as one of the top 10 Southern movies of all time. Co-written by Beaufort residents Lanier Laney and Terry Sweeney—both former writers for “Saturday Night Live”—“Shag” was inspired in part by Sweeney’s memories of vacationing on Pawley’s Island, but also by Laney’s desire to combat negative stereotypes about the South that he encountered up North, which didn’t match the Carolina childhood he remembered. Little teen dramas play out everywhere, with their heady mix of innocence and wild revelry, but the Carolina shag days were set against a sultry backdrop of hot nights and ocean breezes. Plus, there’s a sensuous R&B soundtrack that was considered to be somewhat taboo. Today, the dance is mostly the domain of retirees, because the rebellious teens of yesteryear are the adorable old folks of today. However, Elliot says they are always recruiting junior shaggers to keep the tradition going strong. 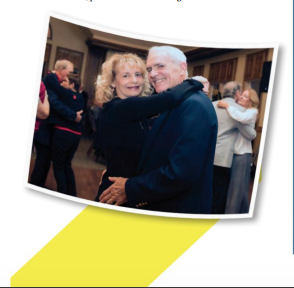 She’s grateful to Hilton Head Plantation for being one of the last local establishments to have a ballroom dance floor, in the Dolphin Head Golf Club where the Carolina shaggers meet regularly. The Hilton Head Island Carolina Shag Club meets twice a week at Dolphin Head Golf Club in Hilton Head Plantation, with lessons on Tuesdays and social dances on Fridays. 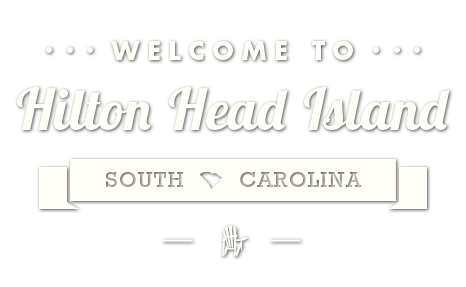 For more information, please visit hiltonheadshagclub.com.